While this may not be the most appetizing of ideas for everyone, there are some that find raccoon to be a tasty meal. They enjoy these little critters, and love the idea of actually going out to hunt for one. While you may see a raccoon killed alongside the road, the truth remains that this isn't where you should be getting your next meal. If you are looking to hunt for raccoon, then it is time to head out into the wilderness and hunt one of these critters down so that you can get its fur and its meat. 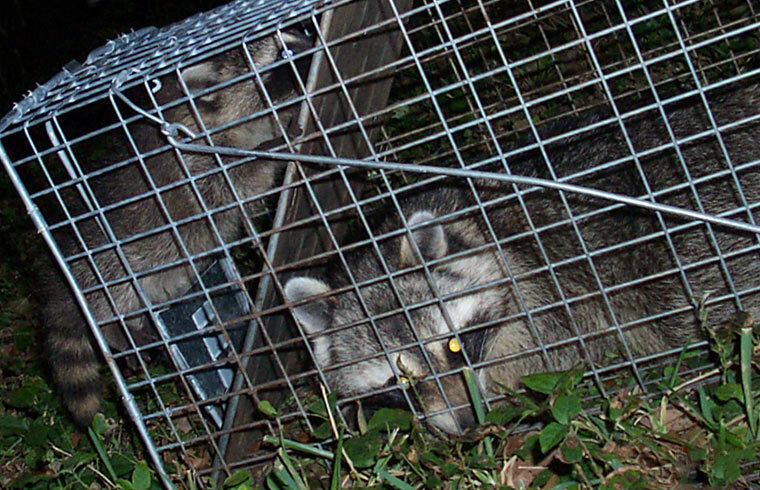 If you want to know how to hunt raccoons, here are some tips for you. Depending upon how you want to go about this, it may pay to get yourself a dog to help you track down the critter. What you need to understand is that many raccoons only come out at night, meaning that during the day they will be hold up in some area which may be difficult for you to locate. The use of a dog, such as a springer spaniel, could be ideal in helping you to track down where raccoons may be at. This is especially true if you decide hunt at night. The next thing you want to determine is where our good areas for you to be able to hunt for a raccoon. Because these animals can eat just about anything, this means that they can be located in just about any area. However, you are most likely to find them in areas where there is a readily available amount of food in the open. This can include such places as a cornfield, creek where there are frogs or fish, or other similar location. You also want to keep in mind that raccoons are nocturnal animals. That means that they will come out at nighttime meaning you need to adjust your schedule to theirs. If you are intending to try to track a squirrel then you are going to have to do it in the dark. Be aware that the use of a light can scare these critters away, so you may have to look into something like night vision goggles or do your hunting at a time when there is enough moonlight out that you can see without startling them. Find out if raccoons eat mice / rats. Lastly, if you can get skilled enough in it, it is a much better choice for you to hunt raccoons with a crossbow. Because of the size of these critters the use of a gun can be quite messy and leave you with very little in terms of untainted meat. This is why it is the best option to use a bow and arrow. First of all, you preserve more of the meat, but you also keep more of the fur intact as well. This will make your kill a much more valued endeavor for yourself. Now that you have a little more information you are ready to head out to the wilderness to begin your great hunting expedition.